TTF is partnering with Ambrose Liu of the Olney Culture Lab and Dr. Matthew Smalarz ofManor College to record in-person interviews with community members. Manor College, which sits along the Jenkintown Creek at the headwaters of the TTF watershed, is developing an Oral History repository. A native Philadelphian and founder of the nonprofit Latinas In Motion, Elaine Johnson was first introduced to Tacony Creek Park in 2014 by Tookany/Tacony-Frankford Watershed Partnership (TTF). Since then, the park has been a source of health and wellness for members of her organization, as well as her own family. In the second episode of Park Stories: An Oral History of Tacony Creek Park, Ambrose Liu sits down with Elaine to discuss her strongest memories of the park and its changes through the years. With the 2012 founding of Latinas In Motion, Elaine Johnson aimed to encourage other women of color to stay active and create a sense of motivating team camaraderie. After all, running and walking is the most accessible type of physical fitness because it’s free, and therefore it doesn’t exclude anyone based on inability to pay an entrance fee. Elaine shares that growing up in inner city North Philadelphia, it wasn’t always safe to play outside, and health and wellness wasn’t typical conversation around the dinner table. Upon her research, she also found that women of color have higher rates of obesity, heart diseases, and diabetes, all of which physical fitness can help to address. Not only is staying active important for physical health, it’s also acted as a confidence boost for Elaine and has strengthened her personal relationships. When Elaine first heard about TTF six or seven years ago, the organization had reached out to her about the first annual Healthy Trails 5K in Tacony Creek Park, which she then volunteered to help with. Before TTF, Elaine didn’t know Tacony Creek Park existed, but now she visits often and raises awareness of the park amongst her fellow runners. 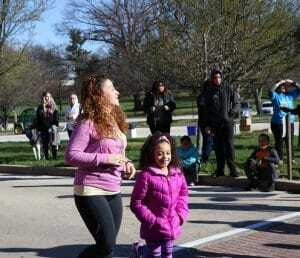 Latinas In Motion has also held their annual 5K in Tacony Creek Park for the last five years, creating another opportunity to showcase what the park has to offer. Now a champion for the park, Elaine tells other runners and walkers about the park as a safe, accessible alternative to stop-and-go running and walking on city sidewalks. She also takes part in a clean up of the park every year before Latinas In Motion’s 5K and has seen first-hand how these clean ups give people a sense of investment in the park’s future. 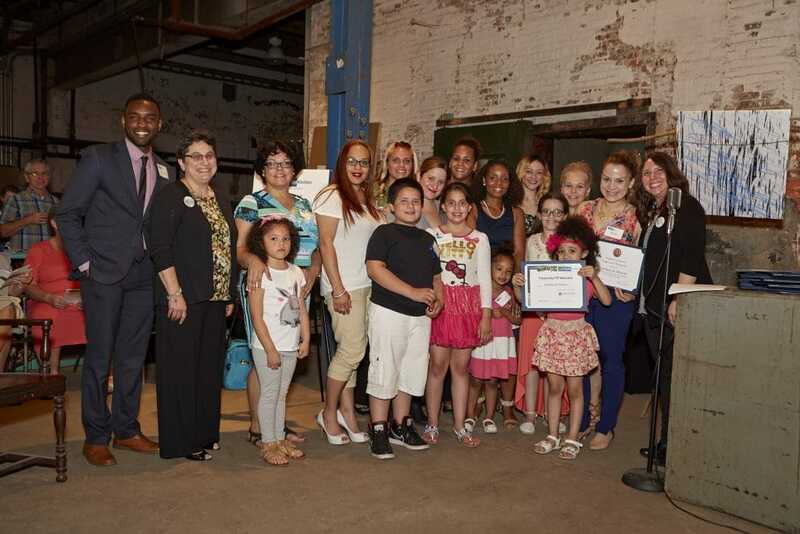 The partnership between Latinas In Motion and TTF is one that brings increased activity to Tacony Creek Park and elevates the park’s visibility. In 2016, TTF recognized LIM with the annual Friend of the Watershed Milestone Award! Since Elaine began working with TTF, she’s been impressed with the organization’s ability to keep Tacony Creek Park safe and clean over the years and described the organization as “little angels” that care about the park. Elaine adds that TTF has a special ability to make environmental education accessible, even for those who don’t know a lot about the natural world, and the organization has taught her a lot about nature. Getting involved with Latinas In Motion and TTF has changed the conversation for Elaine’s family by exposing them to the outdoors and instilling the importance of physical fitness to create a healthier generation. Elaine’s 7-year-old daughter finished her first 5K last year, something Elaine didn’t do until she was in her 20s; and her son sees her lacing up her shoes and asks if she’s going to work out, creating a dialogue and awareness around fitness that she didn’t have growing up. Elaine’s mother and sisters have even come around to participating in running and walking, though it took a few years. Elaine states that staying committed and consistent on her own encouraged other people to follow. It’s like “planting seeds” and waiting for them to bloom, she explains. Elaine’s hope the future of Tacony Creek Park is to act as a location for families to enjoy quiet time and conversations, so that even more people take advantage of what the park has to offer. Tacony Creek Park is a “gem” that she wants the community to know about and enjoy. We are so proud to share this interview with Elaine Johnson, the second in our two-year Tacony Creek Park Stories project. This two part effort is collecting and sharing park and neighborhood history and memories, and then working with local artists to bring these stories to life, making the collective story of our park more accessible to our community. Do you have a story to share? Whether you’ve been visiting the park for 50 years or just a few months, we’d love to hear from you. We are committed to gathering stories from the wide range of perspectives in our culturally and ethnically diverse park community. Interested in sharing your stories from the park? Contact robin@ttfwatershed.org or call 215-744-1853. This project has been made possible with support from the Joseph Robert Foundation. We are so proud to share this interview with Fred Maurer, the first in our two-year Tacony Creek Park Stories project. This two part effort is collecting and sharing park and neighborhood history and memories, and then working with local artists to bring these stories to life, making the collective story of our park more accessible to our community. TTF is partnering with Ambrose Liu of the Olney Culture Lab and Dr. Matthew Smalarz of Manor College to record in-person interviews with community members. Manor College (which sits along the Jenkintown Creek at the headwaters of the TTF watershed) is developing an Oral History repository. Fred Maurer (second from right) receiving the TTF Legacy Award in 2016. A native Philadelphian and longtime Olney resident, Fred Maurer has been a member of the Friends of Tacony Creek Park for more than 25 years, serving as Vice President of Conservation Matters. He has dedicated countless hours to the park’s conservation, and even today, you can find him out on the trail, cleaning up the park. 0:30 – Growing up in Kensington, moving to Olney, horse-drawn wagon rides, and Mustang Stables. …there are more stables that were private stables. These were too…public ones and one is called mustang stable. So, that was a place where you began the hay ride and then you went up to the end of the available land and then when you got to the end, near the Roosevelt Boulevard, remember the boulevard started in 1927, that kind of more or less terminated easy access for park users. At the end, near the Roosevelt Boulevard, there was a field…fence where they could stop and have a picnic at that location, you had to bring refreshments, in this area around the boulevard. When I checked it, before, there’s still some remnants of the stable I’d been (at) for the end of the trip. Basically, that’s my early experience and I’ll say I stop at that point. I valued it. 4:30 – The changes in recreational use before and after WWII, and the development of the park’s first recreational building at Whitaker Ave.
8:30 – Park improvements in the 1970s made possible by U.S. Bicentennial funding, including a hard bicycle path, picnic groves, fire rings, and last but not least: bridges! CLICK HERE to listen to the full interview with Fred Maurer. Interested in sharing your stories from the park? Contact robin@ttfwatershed.org or call 215-744-1853.